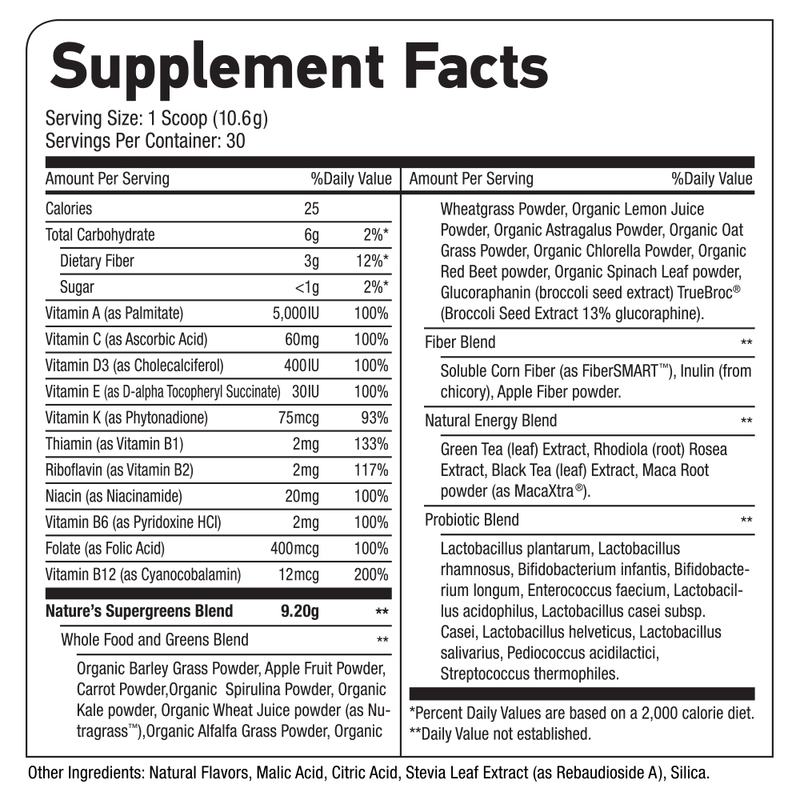 Nature’s Supergreens is a great tasting, premium blend of select superfoods formulated for health and wellness. Suggested Use: Mix 1 scoop in 6–8 ounces of cold water or your favorite beverage. Manufactured in a GMP Certified Facility. Manufactured in a facility that processes milk, eggs, fish, shellfish, tree nuts, peanuts, wheat, and soy.